Gun News & Laws / School suspends 2 students for sharing photos at gun range. Off Topic Discussion (NON FIREARM RELATED) / Geronimo! 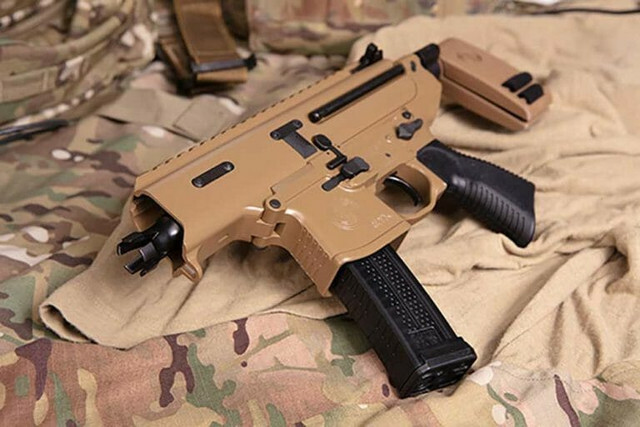 SIG SAUER, Inc. is pleased to announce the ultra-compact MPX Copperhead is now shipping and available in retail stores. Performance Center today announced that it has expanded its line of M&P Shield M2.0 pistols, delivering nine new models that include a longer, 4 inch barrel and slides designed for red dot optics. For the first time ever, the Performance Center M&P Shield M2.0 is available with a slide cut for optics and ships with a red dot included, delivering a slim, red-dot ready concealed carry pistol. Off Topic Discussion (NON FIREARM RELATED) / Time to lay off the drugs! Handguns and Revolvers / What is your favorite handgun of all time? There is a poll for your favorite handgun brand already - but what is your all time, favorite single gun model? Off Topic Discussion (NON FIREARM RELATED) / This one is for Jeb! Off Topic Discussion (NON FIREARM RELATED) / Stay off your cell phone!! !